A rarely found accessory in the used market. 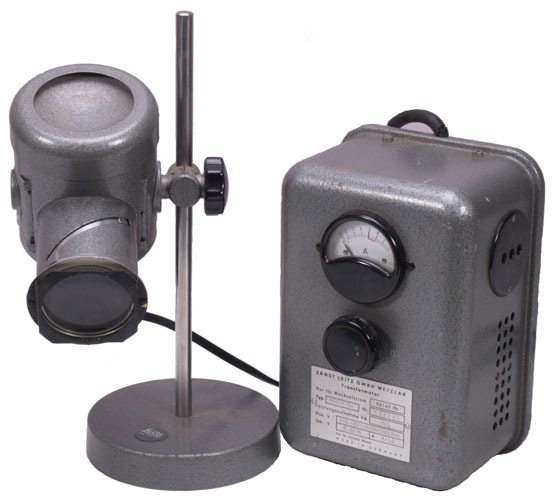 a Leitz teaching head with integral moving pointer, will attach to any modern Leitz compound microscope stand and will except two binocular heads (not supplied). This is a Zernike Phase Contrast condenser that will fit the Leitz Dialux series. Four position phase rings with a bright field option. Iris diaphragm and phase rind adjustment controls. Condition good. This is a very rare objective. A x100 dry metallurgical objective in very good condition. What's more it is probably one of the first infinity corrected objectives that Leitz produced. NPL x100 infinity corrected with a numerical aperture of 0.90. The Leica CME was targeted very successfully at the university undergraduate market. This example is in excellent condition. Binocular with E2 achromatic objectives x4, x10, x40 and x100 (oil immersion) that together with the wide field eyepieces gives a magnification range of x40 to x1000. Focusing centring condenser. Mechanical stage with drop down controls. Coaxial coarse and fine focus controls. 6 volt 20 watt quartz halogen illumination with brightness control. A magnificent example of this sought after microscope dating from the mid 1960’s This one has excellent paint work and chrome. The interchangeable quadruple turret has three objectives. x10 planfluorite n.a. 0.30, x40 n.a. 0.65 and apo x100 n.a.1.32 oil immersion lens, together with a pair of periplan x10 eyepieces. Centring two diaphragm bright field condenser with flip top lens n.a. 0.9, with a supplementary condenser in the base with a cut out lever for low power work. Probably the most widely purchased microscope from the Leitz range, combining the Leitz build quality and optical performance at a relatively reasonable price (given that you have to pay for quality). The body work of this example is in very good condition, but the stage inevitably shows the signs of slides being slid on and off. 170mm objectives x4 (0.12), x10 NPL(0.25), x16 NPL (0.40), x25 NPL (0.50) and x40 (0.65). Kohler illumination with a tungsten halogen light source. Periplan GF x10 eyepieces. Coaxial coarse and fine focus controls. Mechanical stage with the usual drop down controls and focusing substage. A fine microscope. A trinocular Ortholux 11 with a rotating circular stage. The body work of this unit is in very good condition. Serial number 484425 dating from 1955. It has had a more modern Leitz lamp unit added at some stage with 12v 50 watt halogen lighting. 170mm objectives x4 (0.12), x2.5 plan (0.08), x10 polarising (0.25) and x100 oil immersion with integral iris diaphragm. X16 periplan eyepieces. All original. 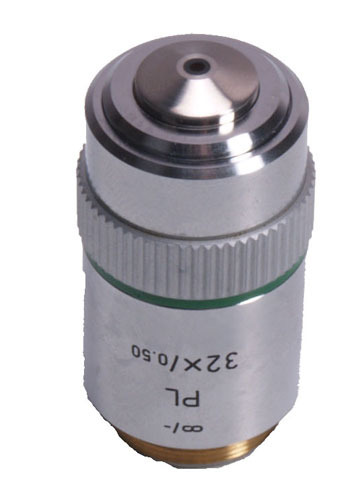 This is a Leitz dovetail condenser with a numerical aperture of 0.25 and focal length of 62. From the inversion of the markings it was probably from an inverted unit originally. No iris diaphragm. This is a Leitz Ortholux in excellent condition and with a specification that is not easy to find these days. The incident lighting system is a mercury fluorescence system with dichroic cubes suitable for FITC visualisation. The transmitted lighting is a quartz halogen 20 watt Kohler system. Large mechanical stage in good condition with drop down coaxial controls. Objectives x5, x10, x20, x40 and x100(oil immersion) with x10 periplan eyepieces. All original Leitz.. A rare opportunity. One of the Leitz family classics with a - ‘they don’t make them like this anymore’ moment. Its a heavy microscope with a large footprint. Kohler illumination 12v 50 watt lighting with the space for an incident lighting source as well. This microscope is all original which makes it a collectors piece as well as a very usable microscope. 170mm tube length objectives x6.3 (0.25), NPL x25 (0.50), x16 (0.40), x40 (0.65), NPL x100 (1.25) together with a pair of x12 plan eyepieces. The focus controls and stage condition are very good. The laboratory specification Leitz microscope. This instrument is in good condition although it does have a few marks to the paint in the front of the base and the larger of these has been touched in. The base has black wrist support inserts and the external light system is controlled by a rheostat knob towards the back of one of these. The stage is in good condition showing only a little scuffing from slide movements over the years. 6v 20 watt halogen light source with a full Kohler adjustment system. Coaxial coarse and fine focus. EF objectives x4, x10, x12, x40 and x100 (oil immersion). CF periplan x10 eyepieces. Very good value. This is one of the first Leitz infinity corrected objectives. It is a plan x32 infinity corrected unit with a numerical aperture of 0.50. Its general condition is excellent. The HM-LUX was an entry level Leitz microscope with all the optical and engineering quality of the brand, but with simplicity of construction making it ideal for those without previous experience of microscopy but wanting a quality product. This microscope has a full mechanical stage with drop down coaxial controls. The lighting system (with external transformer) is combined with the substage condenser which has a swivel focus system. The microscope has the signature Leitz coaxial coarse and fine focus controls and the body work is in excellent condition. 170mm tube length objectives x2.5 (0.08), x4 (0.12), x10 (0.25) and x45 (0.65) with periplan GF x10 eyepieces. This is a brand new Leica stereomicroscope accessory - Mtu-18430. A bellows extension 30 to 120mm for the M50,60 or 80. In its original packaging. A massive saving on the current list price. 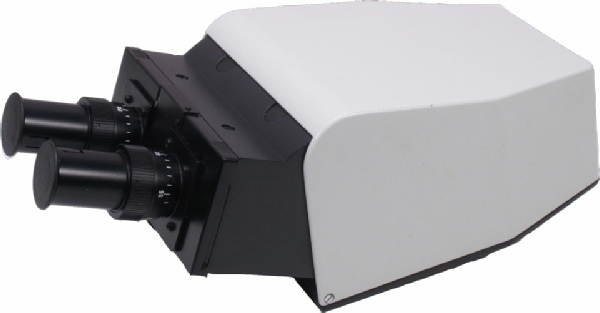 Leica Microsystems GmbH is a manufacturer of superb optical equipment. Leica Microsystems is a successor company of Ernst Leitz that was founded in Germany in 1869. It is difficult to get hold of these drawing attachments and they are sought after. This fits beneath the microscope head and introduces a magnification factor of x1.25. There is a slider focus system for the paper projected image. The unit is in good condition. A quality Leitz microscope at a very affordable price. The Laborlux 11 is mechanically more basic that the research level Leitz models but the optical quality is exactly the same. The body work of this instrument is very good taking into account its age and the stage although showing scuff signs of slide use is also good. Kohler illumination with a 6v 10watt halogen light source with rheostat brightness control. Original Leitz objectives EF x4 (0.10), EF x10 (0.25), EF x25 (0.50), EF x40 (0.65), EF x63 (0.85), giving a magnification range of x40 to x630 with the x10 wide field eyepieces. An excellent opportunity to acquire a Leitz microscope at a very reasonable price. 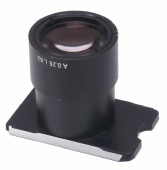 In pristine condition this is the 50mm Ergomodule for the Leica MZ series stereomicroscope. Part number 10446170. Significant saving. This is one of the Leitz classics and in very good condition. It has been retrofitted with rheostat controlled LED lighting system using the same optical path as the original halogen lighting. Trinocular head with light direction control and x10 periplan wide field eyepieces. All original objectives and in very good condition x6.3 NPL Fluotar (0.20), x10 Plan (0.25), x25 NPL Fluotar (0.55), x40 Plan Fluotar (0.70) and x100 oil immersion with inbuilt iris diaphragm (1.25). Kohler illumination and the volt meter on the front of the base no longer records as it has been by passed by the LED light system. Focusing and centring condenser with flip top element. Large stage, which is in very good condition, with double vernier scales and drop down coaxial controls. A fine microscope. This microscope really belongs in our vintage or collectors sections. Its condition is excellent and it is complete with its original wooden case and also its original sales card dating from 1959. This was probably the ‘heyday’ of the Leitz brand and this particular microscope is in really excellent condition. Serial number 503897 and all original. Objectives x3.5 (0.10), x10 (0.25), x45 (0.65) and x100 (1.30) that are 170mm tube length. Mechanical specimen driver stage with a flip top condenser assembly. 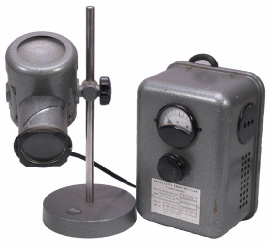 The microscope has a light unit and also a mirror for use in the field. x10 eyepiece - all original and in very good condition . Recommended. These are rare objectives in the used market. PL APO objectives – the class for professionals. They deliver imaging quality that cannot be achieved by conventional objectives. Plan Apochromats provide perfect axial and lateral color matching for applications requiring fast color change and the colocalization of structures. PL APO objectives are characterized by flawless image flatness up to a field number of 25. Top numerical apertures define a resolving power at the limits of what is physically possible. Within the class of apochromats, Leica offers PL APO lenses especially designed to match the highest specifications for confocal scanning (CS). This is one of those objectives – x63 oil immersion offered here at a fraction of the list price. The objective screw thread is the standard Leica M25x0.75 mm (non RMS).